The PRIMERA ST360® urological workstation covers the entire spectrum of diagnostic and therapeutic applications in urology. 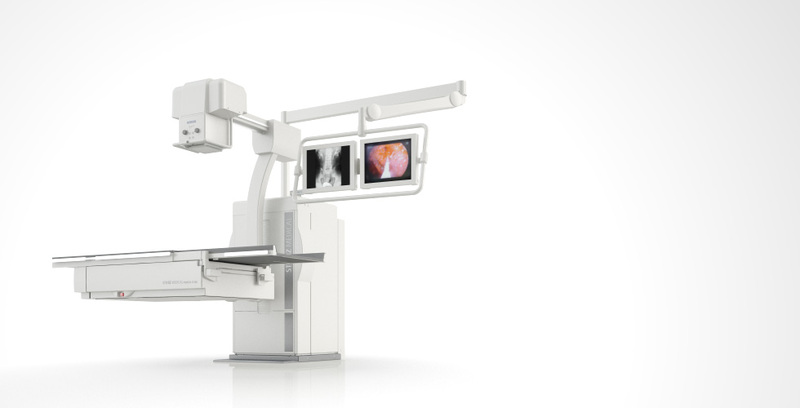 Thanks to its exceptional flexibility, the patient table meets all requirements for easy and comfortable patient positioning such as low access height, generous movement range and vertical positioning for urodynamic procedures. Due to the unique table design, the patient is easily accessible from all sides. Awkward patient repositioning is not necessary even when complex procedures are performed. The generously dimensioned and reliable mechanical design of the PRIMERA ST360® is reflected, among other things, in the patient table weight capacity of up to 250 kg. Central touch screen control and the inclusion of peripheral equipment in the overall system solution enhance the workflow. The PRIMERA ST360®system can be combined with a variety of endourological devices from different manufacturers.